Location is everything!!! On one of the busiest streets in Lake Tahoe, this business has already become a favorite of locals and tourists alike!. The restaurant is absentee operated, so this is your opportunity to take over the business and build on it's current success by adding your own expertise and charm. With inside as well as outside seating for over 100, and plenty of parking, this restaurant will always be a hit!! 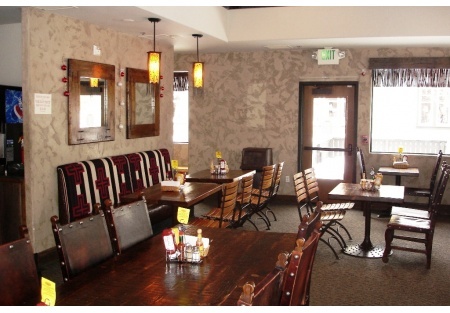 The restaurant is over 2400 sq feet and has a view of Lake Tahoe and is right across the street from the lake shore. Take over where this owner has started, and enjoy the opportunities waiting for you in the Lake Tahoe area. Please select one of the bright orange buttons below to get the name and address of the restaurant. If you're not a registered buyer, it will ask you to register. It costs you nothing! And you'll get placed on our e-mail list getting first look at our newest listings.This is a Paramount Restaurant Brokers, Inc. DBA SellingRestaurants.com listing.